Gavin is a seasoned fresh produce grower and industry leader respected for farming innovation and commitment to quality. Gavin Scurr leads by example to foster a healthy workplace culture across all farms. Gavin drives an expanding business with more than 1,010 hectares under cultivation and a seasonally fluctuating workforce spread over multiple locations. He identifies growth opportunities and makes sure the company’s strategic direction is in line with quality – the cornerstone of Piñata Farms’ philosophy – as well as family values. Gavin’s proudest achievements include expanding pineapple production to Mareeba in 1996 and identifying the Honey Gold mango variety as suitable for commercialisation. A hands-on visionary, Gavin heads a management team and board of directors. He is former chairman of the Australian Mango Industry Association (AMIA), served two terms as a director and represents the Northern Territory on the board. He is also on the NT Farmers Association board. A sought-after industry commentator, Gavin is a member of the pineapple industry marketing advisory committee and the Australian Institute of Company Directors. 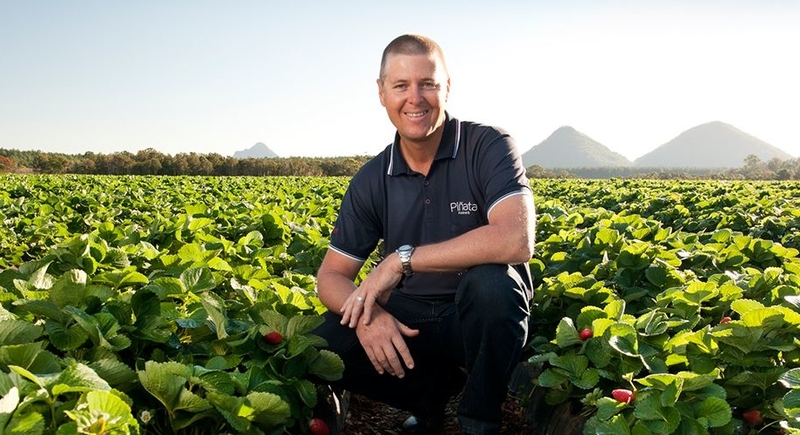 He is also managing director of joint venture company, BerryWorld Australia.